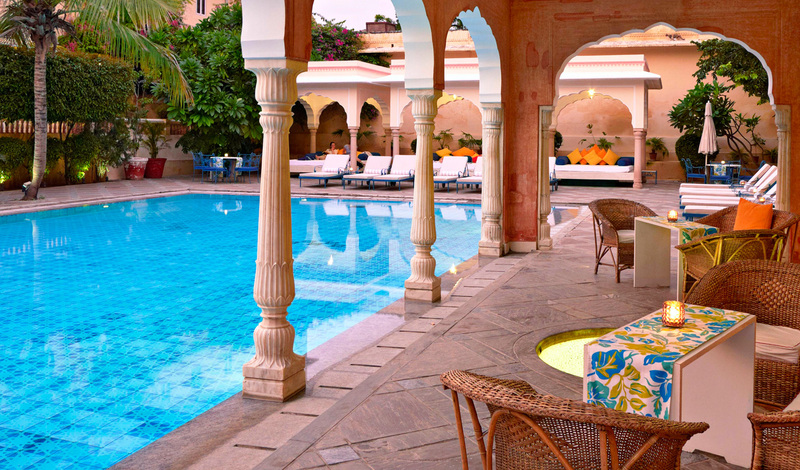 Meticulously restored from an 18th-century palace, Samode Haveli rises above the stone houses of Jaipur’s walled city below to boast fantastic views from each and every viewpoint. Dine out in the warmth of a Jaipur evening or cool off in the tranquility of its gorgeous pool before retiring to one of the charming guestrooms which exude a sense of timeless elegance. Decorated in local Rajasthani textures and colors, this is a real taste of Indian royalty. 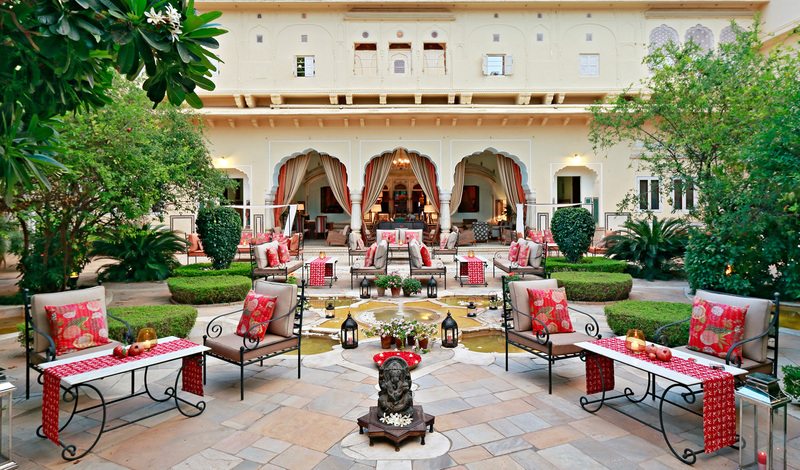 The Samode Palace comes into view like a mirage elevated above Jaipur’s cobbled streets and raw, stone buildings. Located in the colorful state of Rajasthan, towards the north-west of India, it’s an easy one-hour flight up from New Delhi and opens up onto the perfect Indian adventure. All the rooms are intricately decorated in traditionally warm colors, creating an exotic, yet comfortable atmosphere. Tradition plays a huge role in the décor here, employing detailed marble work and gilded arches. The rooms are enormous with superb mosaic floorings, high ceilings and ancient artwork, antiques and artefacts. With all the super-slick design hotels around these days, it’s refreshing to arrive somewhere that really reflects tradition, while still providing the top-notch service you expect. Samode Haveli has just the right balance between heritage and comfort to make a stay here a truly enjoyable and unforgettable experience.